About Product : A room is never complete without an assortment of cushions handpicked with love & beautiful tapestries adorning the walls. Nuff said, never match them with your sheets but match them with yourself. Beautifully hand-embroidered with popping out colors on silk and cotton, they are just what you want after a long day of being out. SEWA Self Employed Women’s Association is a member based organization of poor self-employed women workers. 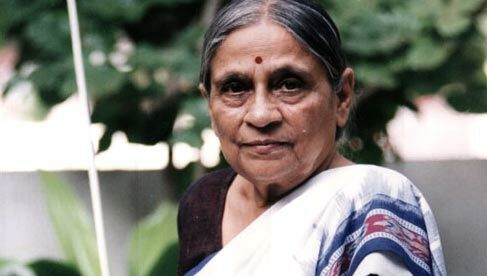 Established in 1972 by Ela Bhatt, SEWA is registered as a trade union and has a membership of 1.73 million women workers across eleven states of India. These women work in the informal sector of the economy and do not have a fixed employer-employee relationship. SEWA’s main goal is to organize the women workers for full employment and self-reliance. Full employment means employment whereby workers obtain work security, income security, food security and social security (at least health care, child care and shelter). By self-reliance we mean that women should be self-reliant, individually and collectively, both economically and in terms of decision making ability. SEWA is also organizing women workers in the informal economy in the neighboring countries of South Asia viz. Afghanistan, Bangladesh, Bhutan, Maldives, Nepal, Pakistan and Sri Lanka. 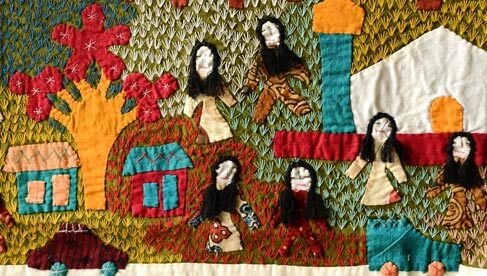 The Hansiba Museum at Radhanpur is the first museum in Gujarat owned and managed exclusively by women artisans of SEWA. The region around Radhanpur is home to many craft communities- Ahirs, Rabaris, Chaudhari Patels, Harijans, Darbars, etc. 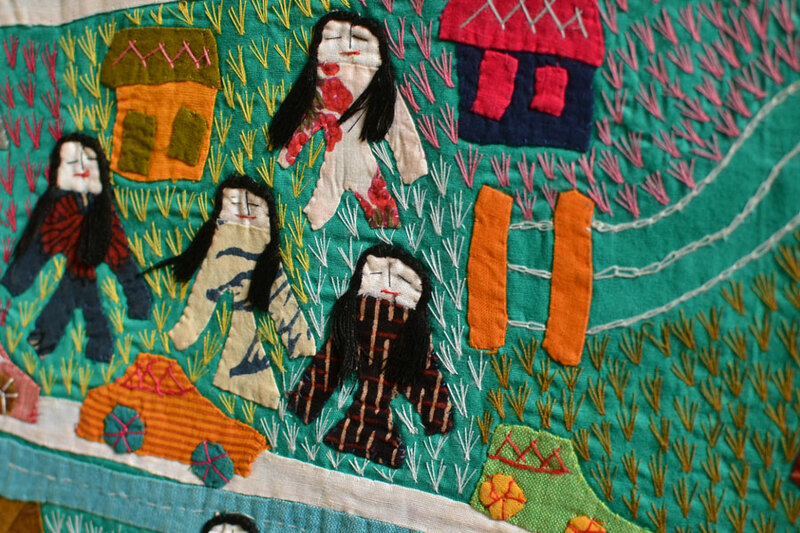 who practice various kinds of hand embroidery and appliqué traditions. SEWA has organized around 20,000 women artisans in Vagad and Chorad region of North Gujarat. The Ahirs are a pastoral community that migrated approximately 1100 years ago from Mathura, the land of Krishna. 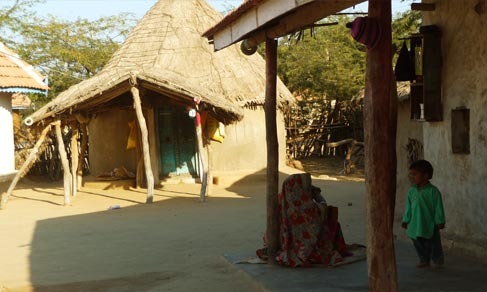 One of the greatest communities with over 10000 members, the Ahirs comprise of Patels and the Brahmins. They practice an embroidery style locally called ‘Soi Bharat’. 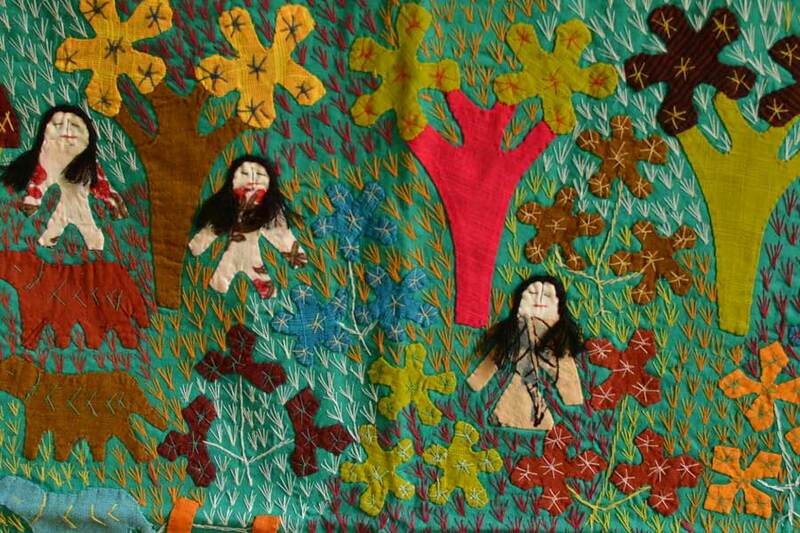 The Rabaris are a pastoral nomadic community known for their distinctive embroidery style which comprises of bold shapes and a generous use of glass mirrors in various shapes: round, lozenge rectangular, square, triangular, and beak shaped. To this, at times, they add appliquéd motifs in bright colors. 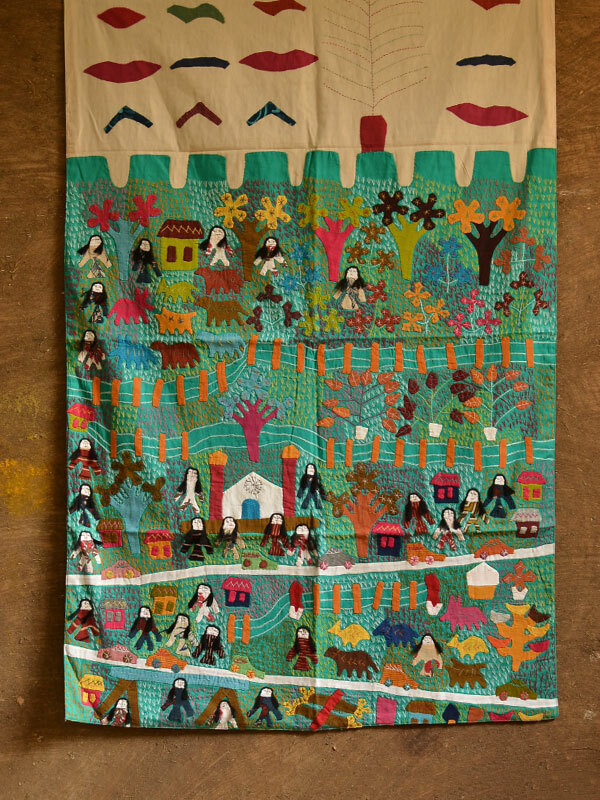 Approximately 500 craftswomen in this region continue the tradition, handed to them over generations. The Chaudhari Patels, worshippers of Harbuda devi megrated to this region around 200 years ago. 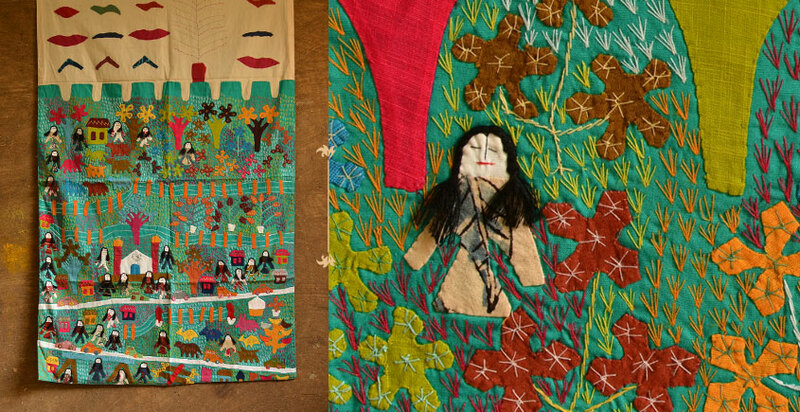 They use open chain stictch and herringbone stitch generously in their exquisitely embroidered textiles. Around 500 artisans are engaged in the craft in this region. 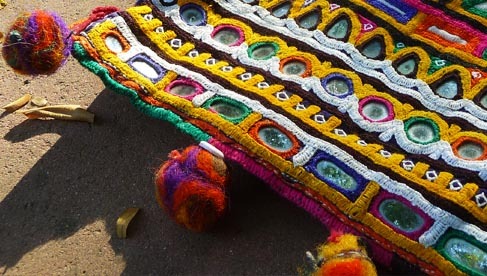 The Mochi community comprising of around 1500 artisans practice the Aari embroidery, also known as Mochi Bharat or the Cobbler’s stitch. 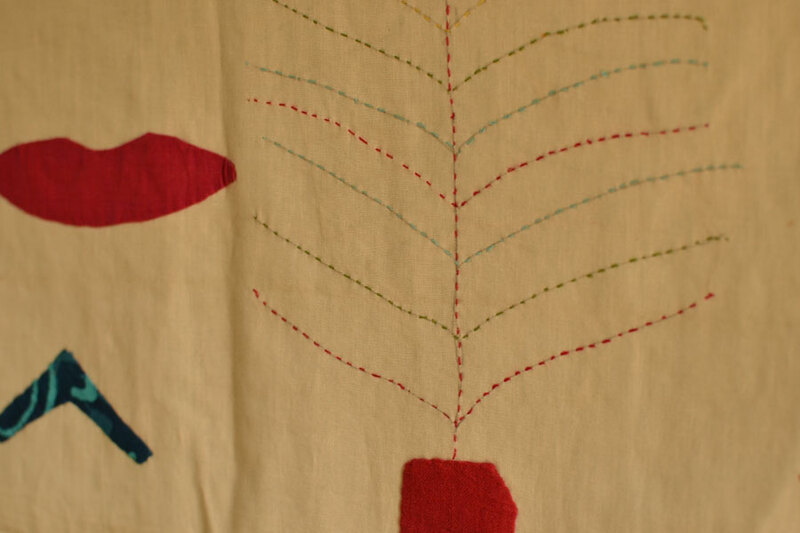 This type of embroidery is worked with a cobbler needle, which is a kind of hook needle, locally called ‘aar’. It requires considerable skill and extensive practice since the thread is introduced from below the fabric. Note Imperfections and variations in the product cannot be termed as defects, as these are intrinsic to the handmade process. SEWA Self Employed Women’s Association is a member based organization of poor sel..